I have to start off by saying how impressed I am with the UK for the quality science fiction related shows they have been producing over the years. First we have them to thank for saving Battlestar Galactica. After the BSG mini series orginally flopped it was SkyOne who put up the funding to produce Season 1, they also revived Doctor Who and brought us the amazing Torchwood spin off. 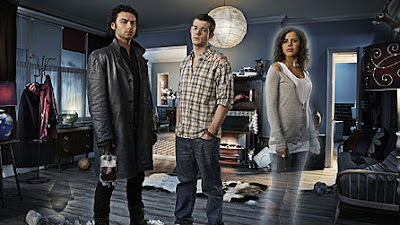 Now they bring us Being Human, which is pretty amazing. A Vampire, Werewolf and a Ghost coping with living and dealing with their issues. Tune in this Saturday and give it a shot.